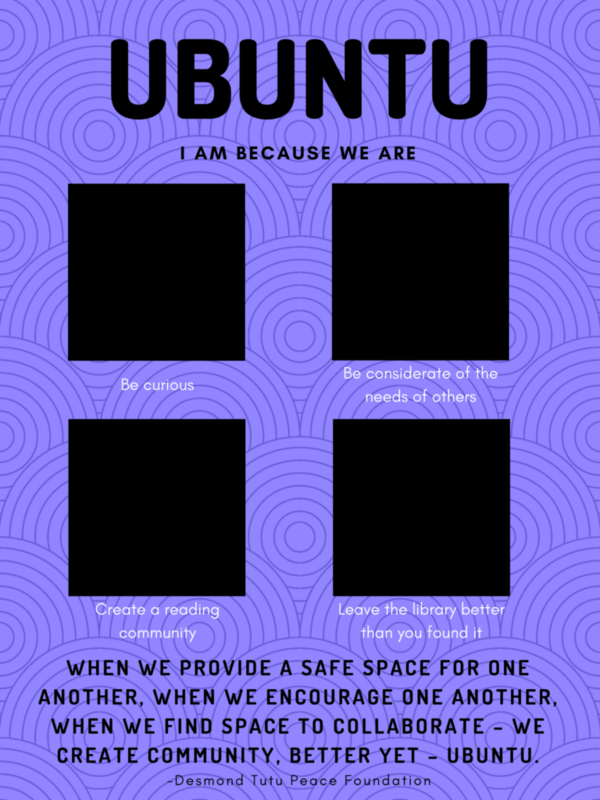 This challenge is a way for elementary students to demonstrate an understanding of the four principles of ubuntu in their library and to recognize the students with an exemplary design. 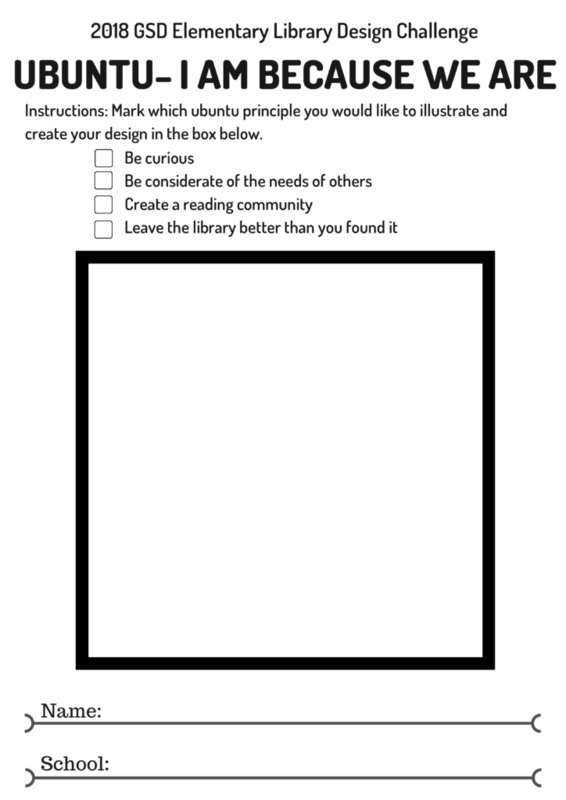 Students will complete their design on the linked form and return it to their school library. One design will be selected for each principle. 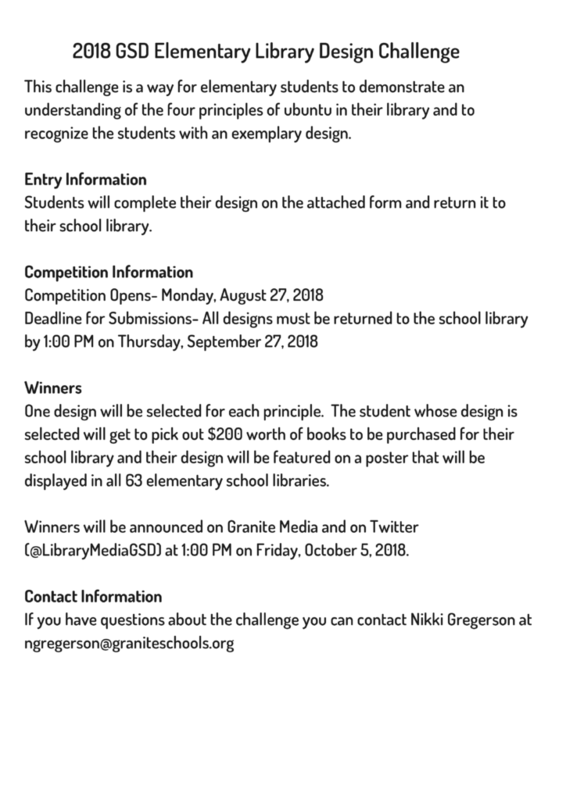 The student whose design is selected will get to pick out $200 worth of books to be purchased for their school library and their design will be featured on a poster that will be displayed in all 63 elementary school libraries. Winners will be announced on Granite Media and on Twitter at 1:00 PM on Friday, October 5, 2018.